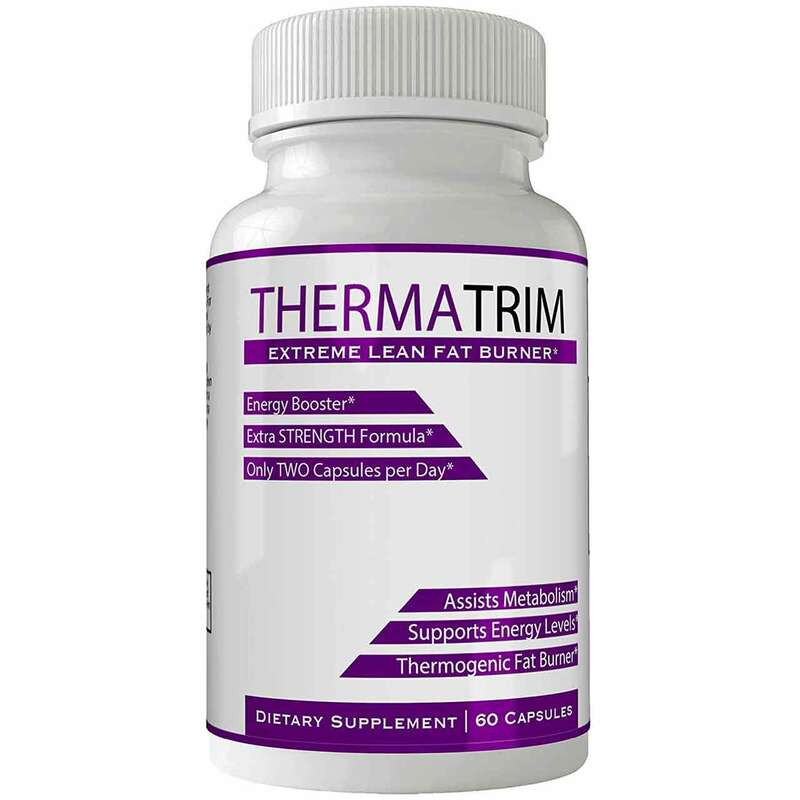 ThermaTrim is advertised as an extreme lean fat burner that will suppress appetite and stop cravings. Containing well-known ingredients such as green coffee bean extract, raspberry ketone, and garcinia cambogia, it is designed to cut down on stubborn fat. It also claims that it is a potent product that is clinically tested to eliminate unwanted fat like from the belly, chest, arms, and buttocks. We uncover the side effects and whether ThermaTrim is just a scam! No comments Published Apr 16, 2019. ThermaTrim is a weight loss supplement that is advertised as an extreme lean fat burner that will also suppress appetite and stop cravings. We have heard these claims a million times, so is there anything about ThermaTrim that makes it stand out from the rest? And, does it work anyway? We find out. ThermaTrim comes from a company called Nutra4health LLC. There is an official website and a contact address and phone number. However, most sales are likely to come from Amazon, the principle marketplace for this supplement. ThermaTrim contains a blend of well known and well-touted ingredients in the formula and because it contains a strong form of caffeine, you may notice a stimulant effect. However, this supplement is expensive at $39.95 for 60 capsules, or one month’s supply, especially as most effects are likely to be derived from caffeine alone. ThermaTrim comes from a small company operating out of a business center in Delaware and overall, none of it looks particularly professional or high quality. What are the side effects of ThermaTrim? Most side effects are likely to be related to caffeine and may include jitteriness, increased heart rate/blood pressure, anxiety, sleep disturbances, and headaches. Other side effects may include upset stomach, nausea, diarrhoea. How much does ThermaTrim cost? ThermaTrim is expensive. It is only available via Amazon where one bottle of 60 capsules costs $39.95. This is sufficient for 30 days supply. ThermaTrim is a supplement in capsule form that contains some well-known ingredients combined in one supplement. ThermaTrim contains green coffee bean extract, raspberry ketone, and garcinia cambogia. The final ingredients are caffeine anhydrous and green tea extract. All ingredient quantities are the same at 130mg per 1 capsule serving, although the caffeine will probably have the strongest effect. Caffeine anhydrous can be up to 28 times stronger than normal caffeine. 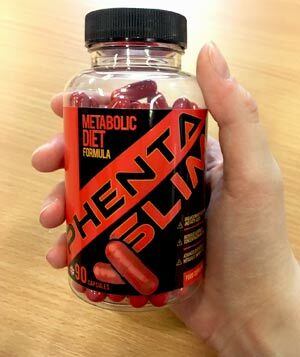 If you have been looking for diet pill supplements, all these ingredients are familiar names so you might think that using all of them in one supplement is going to be effective. Surprisingly, there is not actually much evidence that they do work for weight loss as claimed and in addition, the serving size for each component is low compared to many products on the market. Check out the ingredients tab to find out more. ThermaTrim is a US product that you are most likely to come across on Amazon USA. However, there are many similarly named products on the market including ThermaTrim Plus which is a UK product that we covered in a previous review. We have also seen ThemaTrim and countless products called Thermoslim and very similar. ThermaTrim comes from a company called Nutra4health LLC. There is a website and a telephone line and company address are provided as 16192 Coastal Hwy, Lewes, DE 19958. The telephone number is +1 (302) 313-6820. 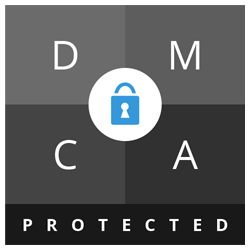 We checked out the address and found that it is a business center in Delaware that provides an address and advice about forming an LLC company. It seems you just fill out a form, and hey presto! You have a business! This is no crime, but it does seem like a shortcut to creating what sounds like a reputable company in just a couple of clicks. The Nutra4health LLC website looks similarly low rent, so it seems unlikely that ThermaTrim is going to be a high-quality supplement. What does ThermaTrim claim to do? There are typos all over the Amazon advert too, but it does make a bit more sense, although it just says all the usual general things about weight loss rather than anything really relating to this supplement. 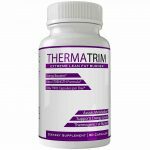 “SUPRESS APPETITE & STOP CARVINGS – ThermaTrim Natural weight loss formula is the product you looked for – the professional way to cut down stubborn fat. Trim off the extra pounds naturally with our premium blend dietary supplement. It is specially formulated to increase your body’s metabolism to break down fat faster, and more efficiently. RAPID BURN FAT IN TROUBLE AREAS – Our potent product is clinically tested to eliminate unwanted fat like from the belly, chest, arms and buttocks. There is zero evidence that ThermaTrim will work in the way as described. It is not the “professional way” to cut down on stubborn fat. That said, with 130mg of caffeine anhydrous, it is highly likely to have a strong stimulant effect that will depend upon your own caffeine tolerance. The problem with caffeine anhydrous is that there is no benchmark for strength. It can be up to 28 times stronger than ordinary caffeine, so it is an unpredictable and unknown ingredient. There is some evidence that green tea paired with caffeine can increase fat burning so you may find that it has a slight effect, although this may be difficult to prove. It seems likely to us, that the principle effect will be from the caffeine and not much else. One thing is for sure; this is not a “premium blend dietary supplement” that has been clinically tested. We don’t even know for sure where it has been manufactured. We only have the company’s word that it is “NON GMO GLUTEN FREE manufactured in the USA at an FDA-inspected and GMP-certified facility”. And as most of the advertising copy is complete bunkum, how can we believe any other of the so-called facts? Nutra4health LLC is using Amazon as the prime marketplace, and cannot even spell the word “craving” without messing it up! Raspberry Ketone (130mg): Natural chemical derived from the enzyme in the fragrance of red raspberries, and which may affect a hormone in the body called Adiponectin. This hormone is important for appetite control and fat burning. Animal testing suggests Raspberry ketone increases metabolism, but it has not been tested on humans. Caffeine Anhydrous (130mg): Caffeine Anhydrous is a strong form of caffeine in the form of a white crystallised powder, and this is often more convenient for use in supplements. However, it can be up to 28 xs stronger than the ordinary caffeine you find in coffee. Although 130mg of ordinary caffeine would be the equivalent strength of just over one cup of coffee, 130mg of caffeine anhydrous is probably going to feel much much stronger. Green Tea (130mg): We all love green tea! This tea undergoes far less processing than the black tea we drink in the West, and so retains more antioxidants. According to research, a couple of these (ECGC epigallocatechin-3-gallate and polyphenols) may have anti-obesity and fat burning properties by increasing the speed of the metabolism. Research suggests it pairs well with caffeine, but there is not much information about the best serving size for each component. Caution: Not suitable for individuals under 18. Avoid if you are pregnant or breastfeeding. Speak to your doctor before using if you have an underlying medical condition or are taking prescription medication. There are only four customer reviews for ThermaTrim on Amazon, so we might as well include them all! Didn’t care for it. I know it has caffeine, but it caused anxiety attacks. Stopped taking it. The final customer did not seem to experience anything! Feedback comments are all fairly recent, which suggests that the supplement has not been on sale for very long. You cannot buy ThermaTrim from the Nutra4health LLC website. At the time of writing, it only seems to be available to US customers via Amazon. We are not very impressed with ThermaTrim. 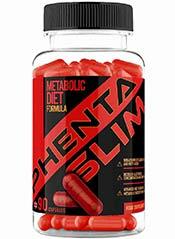 This looks to be a low quality yet overpriced supplement that is highly unlikely to do much for your weight loss. The principle effect is most likely to come from the caffeine, and at close to $40.00, this is way overpriced for a caffeine pill. We do not recommend ThermaTrim to the Watchdog readers. How does ThermaTrim compare to Phentaslim?